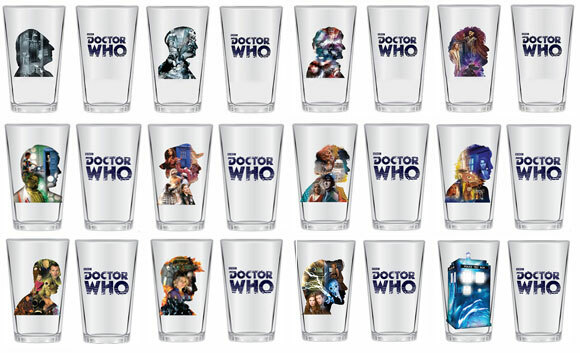 Bif Bang Pow's really cool 16-ounce pint drinking glasses are available to pre-order/order from the BBC Shop! So far only the first Four Doctors are available to order, but I'm sure it won't be long before the others pop up. Follow the ad link to the BBC shop on the right and pre-order now!